Good news for those wanting more options trying to read marginal 5.25″ TRS-80 diskette media. The Catweasel controller is still probably the best tool for reading older TRS-80 diskettes, especially when used properly. But the Kryoflux seems to be catching up. 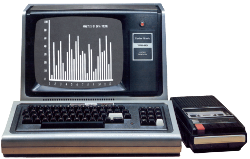 An update from Mike Gore and Keir Fraser allows converting the Kryoflux CT stream into the JV3 format supported by many TRS-80 emulators. As a regular reminder — if you want to read diskettes that you haven’t read in decades, you may only get one pass before the data literally strips off. Please consider sending them to Ira for archiving before possibly ruining them… or instead of procrastinating and letting them decay for another few years. Ira will convert your data and send it back to you. Details here: FAQ on converting your diskettes. You can also read/write jv1/jv3/dmk files with the Supercard Pro and Kryoflux boards thanks to some others third party softwares : SAMdisk, hxc disk utility software and probably some others. Used it for TRS-80 diskettes? Any links for the software? Here’s a great backgrounder on Supercard.